Are you looking for a luxury wedding venue in Cheshire? Well, you needn’t look any further. Not only is Cheshire filled with stunning settings to get hitched, but there’s a new venue added to the list: Merrydale Manor. Set to open in July 2017, Merrydale Manor has been undergoing some very exciting renovations to its 17th-century foundation. 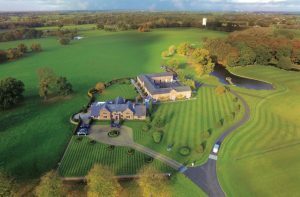 It is being transformed into a luxury wedding and events venue, complete with 300 acres surrounding it – 300 acres of wonderfully picturesque gardens, as well as its very own lake and polo pitch. But don’t worry, Merrydale Manor is holding onto its 17th-century beauty and charm, making it a luxury and already very popular spot to book a wedding. It is fair to say that Merrydale Manor is set to be one of the most exclusive wedding venues in Cheshire, and with the bookings coming in already for summer 2017 and onwards, you had better get in there quick! Merrydale Manor and its rural grounds offer a slice of scenic Cheshire to anyone who chooses the venue for their wedding or event. Found in the tranquil countryside of Over Peover in Knutsford, this new wedding venue is found in the country estate adjacent to its sister venue, Colshaw Hall. The real question should be, what doesn’t Merrydale Manor have to offer? Undergoing a number of changes, Merrydale Manor is being transformed into the ideal venue for weddings. As it is licensed for civil weddings, Merrydale can see you through your big day from start to finish, from the ceremony right through to the moment the last person leaves the dance floor. With no need to move the party, that’s a whole load off your busy wedding-planning mind. You and your wedding guests can even stay the night at the venue too. The events venue is complete with stables that have been converted into luxury accommodation. With luxury double rooms, all with en-suites and king-sized beds, your guests are certain to be very happy here. The renovations include a new function suite that will sweep you and your guests off of your feet. It will give your wedding the wow-factor you’re looking for, providing you with the perfect place to host your big day. Situated perfectly, this function suite makes the most of the glorious views that the Merrydale Manor estate has to offer. At the front you’ll get to gaze out over the stunning lake, and at the back you have the gorgeous walled gardens, cared for by the team. The estate even has its own HPA-registered polo pitch, which has seen many a big name in the polo game grace its ground! Just like with Colshaw Hall, the team at Merrydale Manor are always prepared to go out of their way to help make your day extra special. Always doing everything they can to make the venue perfect for their visitors, and always on hand to answer questions, whether in the run-up to the big day or on the day itself, the team will give you the peace of mind that every wedding-planning bride or groom needs! The teams can also provide you with recommended wedding vendors and wedding professionals to help make your wedding planning a breeze. From wedding musicians and photographers through to magicians and décor hire companies, their recommendations will make sure you get the very best for your big day. Not only is it a stylish and luxurious venue that will undoubtedly impress your guests, this venue can be entirely exclusive to you. 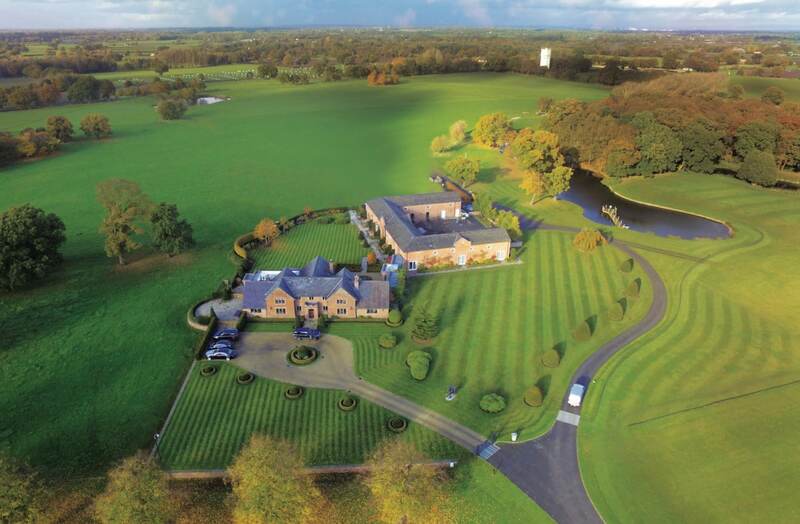 That’s right, the entirety of the venue: that’s the whole of the Merrydale Manor estate – 300 acres and all. You and your wedding guests will be free to rein the venue and its stunning grounds. With beautiful scenery and views wherever you look, Merrydale Manor will offer you and your guests a wedding to remember. And of course, not forgetting those perfect photo opportunities that will make your memories live on forever. Managed and operated by the Colshaw Hall team, Merrydale Manor will have the same level of service and the same high standards as its sister venue. Set to open in July 2017, bookings for this stunning luxury and exclusive wedding venue are coming in thick and fast…so don’t wait too long. Get in touch and arrange a viewing today! You can also keep up to date with the goings on at Merrydale Manor by following them on Facebook.